Recently, date day has been rather far back on the horizon as Andy’s been studying for exams and I’ve had a rather busy November rushing all around London as well as doing some traveling! 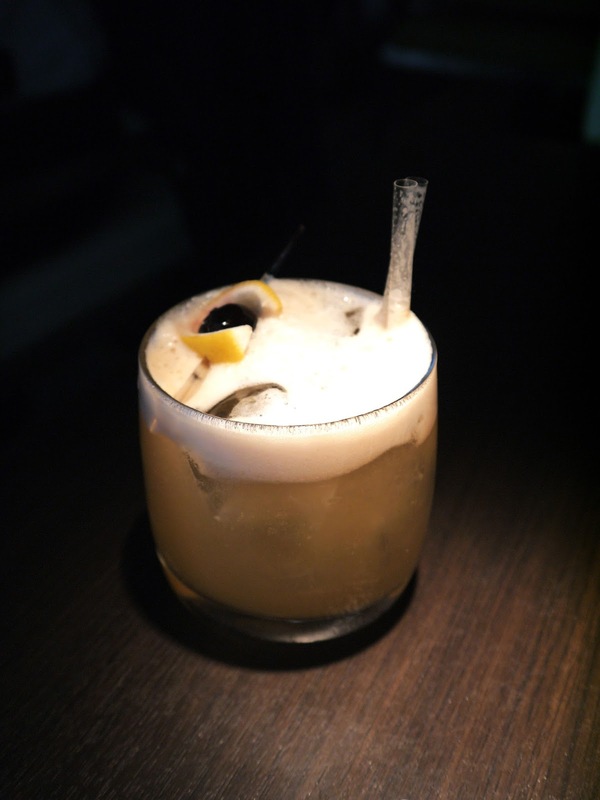 We decided to set one Saturday afternoon aside a couple of weeks ago and try Yauatcha City’s new Supreme Saturday menu and have a proper date day. 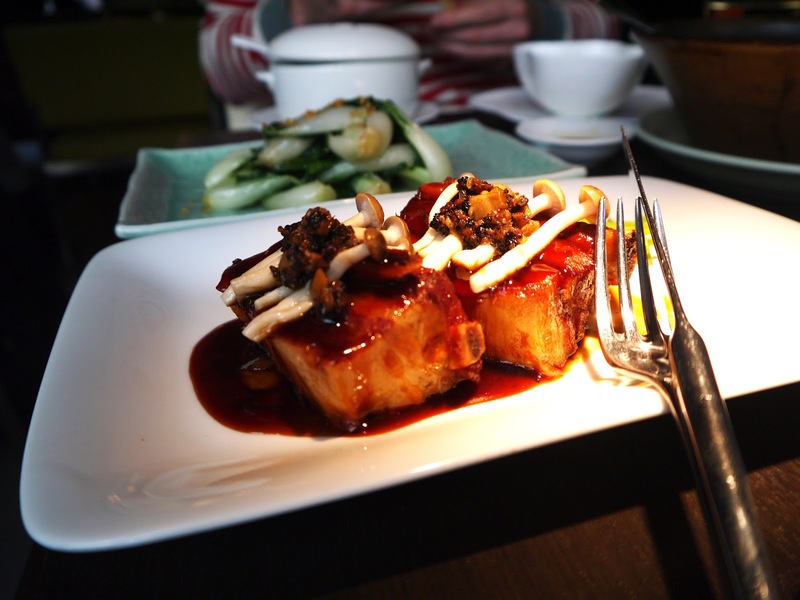 The menu itself is extremely generous; with a pre-lunch cocktail, both steamed and fried dim sum, a main course and a dessert before your final post lunch cocktail. 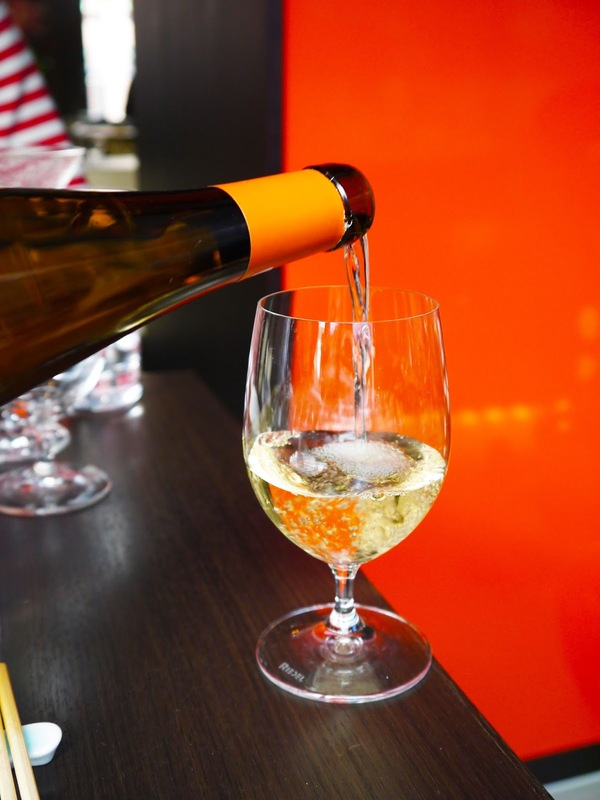 Oh, and half a bottle of wine per person – so there’s no chance of you leaving hungry or entirely sober! 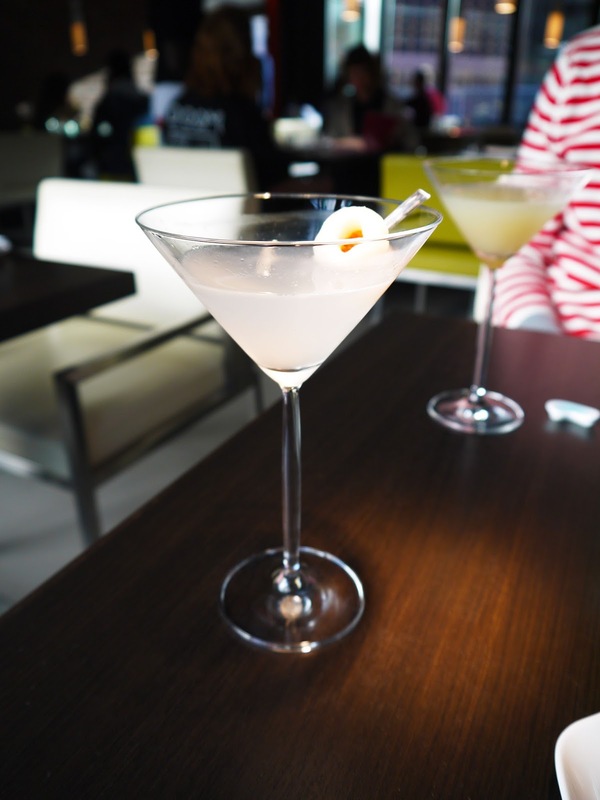 I opted for a delicious Lychee Martini to start with, a wonderfully sweet but light cocktail whereas Andy chose the slightly spicy Thea Martini; an altogether more manly cocktail than might sweet, slightly pink option! 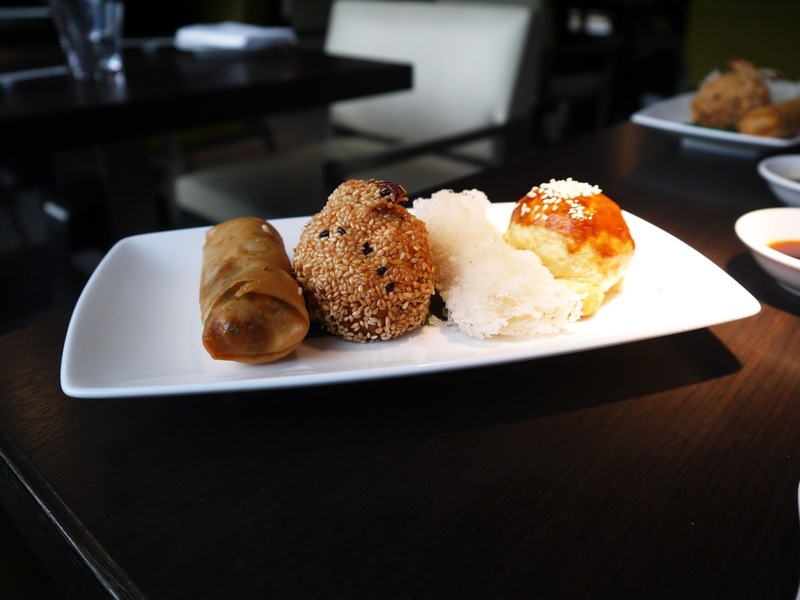 Though the menu is based around the idea of sharing style dishes, the dim sum comes on separate plates so there’s no need to worry about not being able to try all the dim sum. 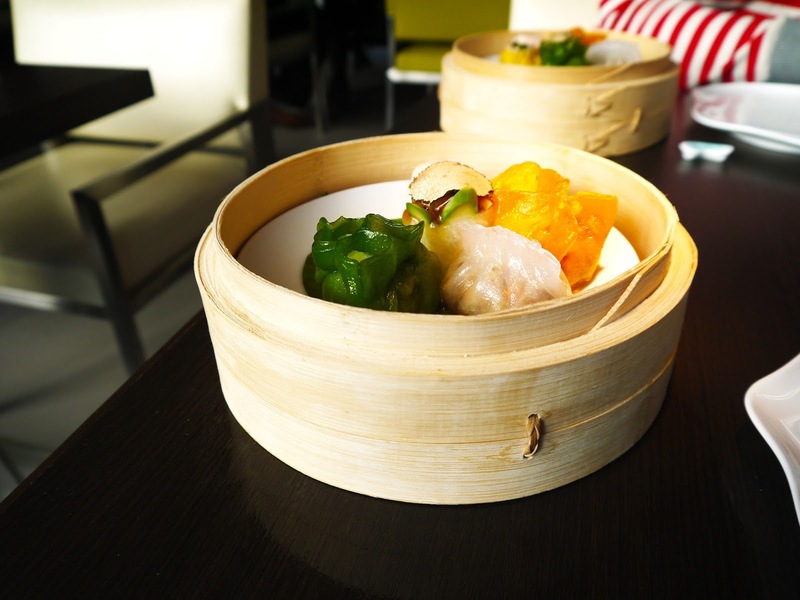 The steamed dim sum, a pork and prawn shui mai, black pepper and wagyu beef dumpling, vegetable and truffle wrap, crystal dumpling with pumpkin and pine nut and a wild mushroom dumpling, are served first. 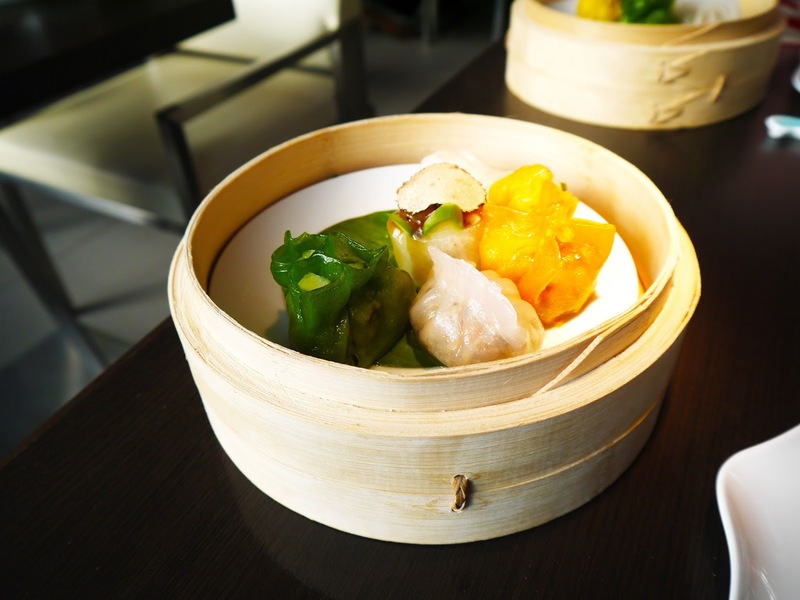 I loved the dim sum at Hakkasan Hanway Place, and as Yauatcha is its sister restaurant I was really excited about trying this course. Safe to say, the dim sum was excellent, though the vegetable and truffle wrap wasn’t to my taste. The prawn and wagu beef dim sum in particular were wonderful – I could have eaten these alllll day. 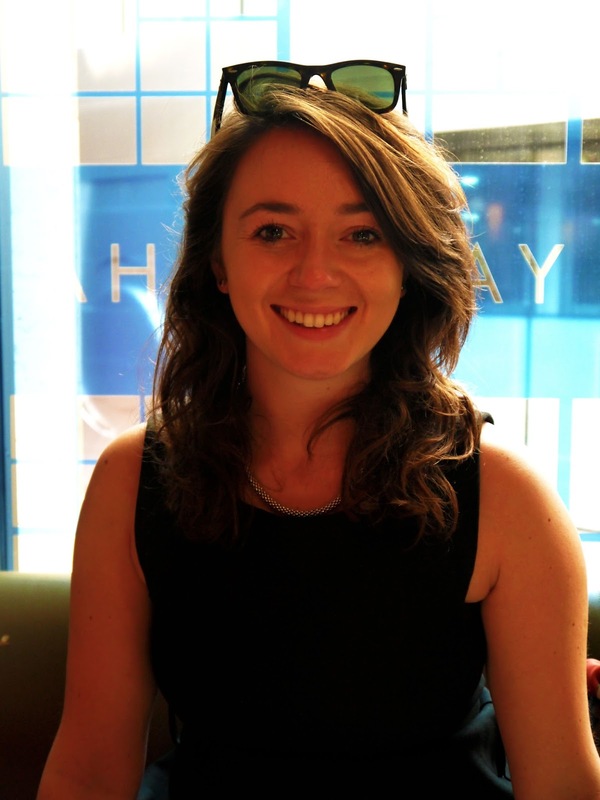 As Andy and I chatted excitedly about our upcoming trip to New Zealand (in less than a month – eeek!) and about my move into my first flat, the fried dim sum arrived. Now I had to be careful here because this all looked incredible but I wanted to make sure I had space for the rest of the meal! 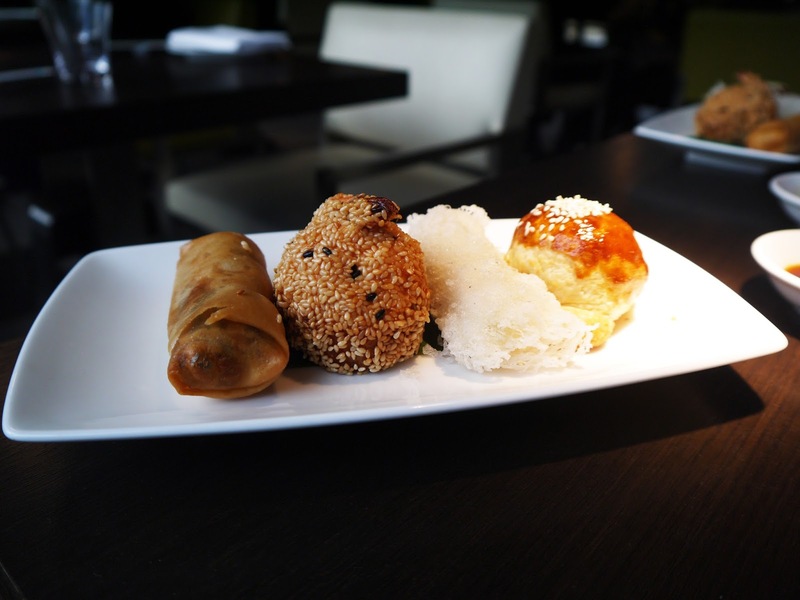 From left to right, there was a mushroom spring roll, a sesame prawn toast, a lobster roll with a wonderful cream and a melt in your mouth venison puff. Now these were spectacular; it was very tough to try and pick a favourite! I loved the texture of the prawn toast and the lobster roll but I have to say the venison puff just edged to the finishing line first. I kid you not when I say melt in your mouth, buttery meat and pastry and bursting full of flavour. After we had finished our cocktails our waiter asked if we were ready for the wine; what a question, eh? He was wonderful and made sure that our glasses were topped up, discretely, throughout the rest of our meal. Believe it or not, we had only had our starters and were still in for the delights that were our main courses. 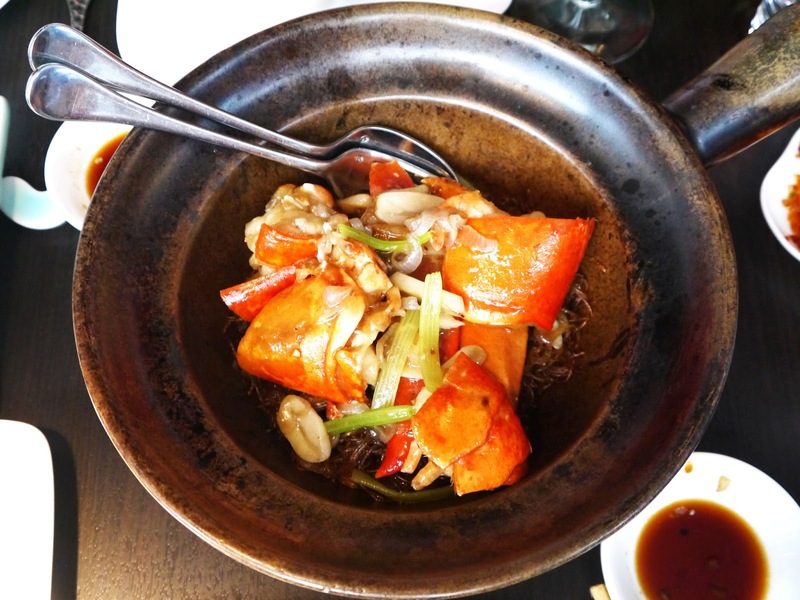 Andy’s becoming a rather wonderful blog boyfriend, and when it came to ordering mains he let me pick first and made sure he ordered something different – he’s a keeper eh? 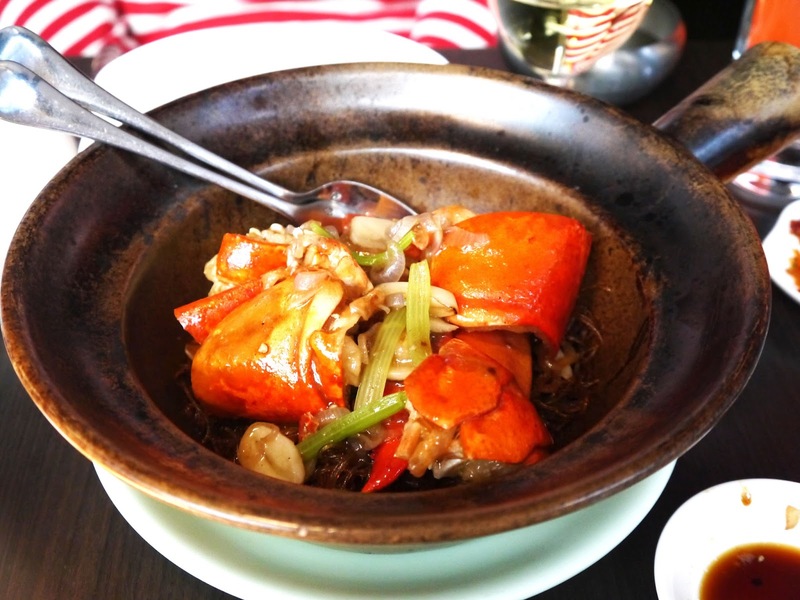 We shared the lobster vermicelli pot; a steaming bowl of deliciousness that was as tasty as it was beautiful. Not the largest portion of lobster I’ve ever had, but it was more than enough, especially as there was so much other food available. I loved that it was served still in the shell; there’s something wonderful about digging into the shell and finding all the hidden glory in that treasure chest. 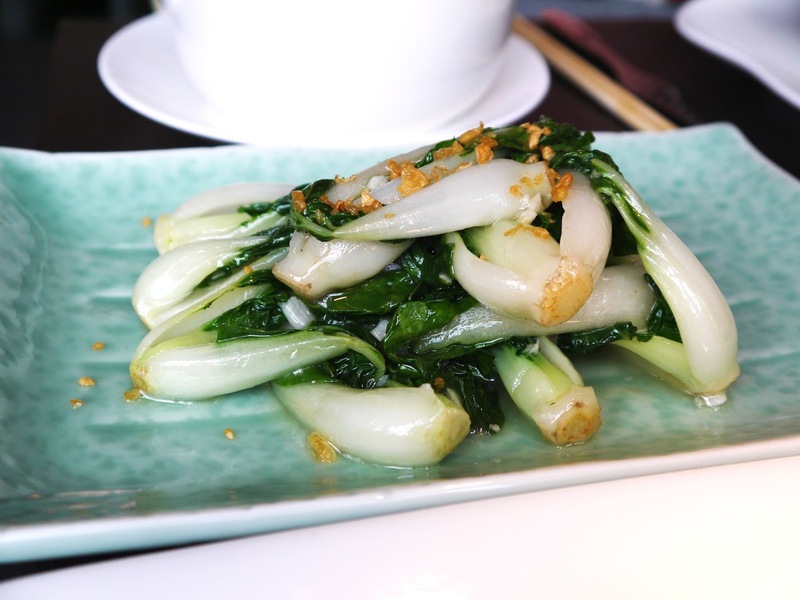 We had a side serving of seasonal vegetables, pak choi, which was a little disappointing as I found it quite flavourless, as well as two portions of rice. 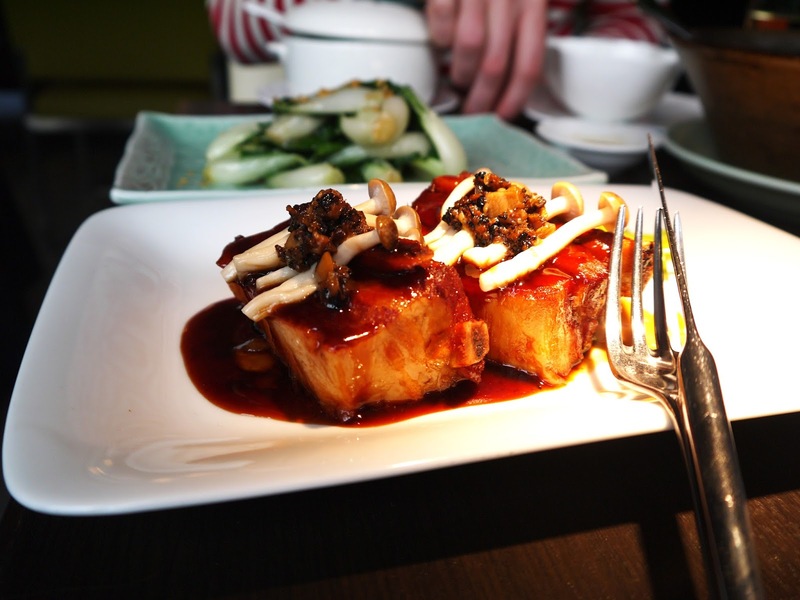 Now the other main course that we shared was another delight; the truffle pork belly rib. Oh my goodness, the pork itself fell apart, in a similar way as the pork belly at Bob Bob Ricard, and was so tender. 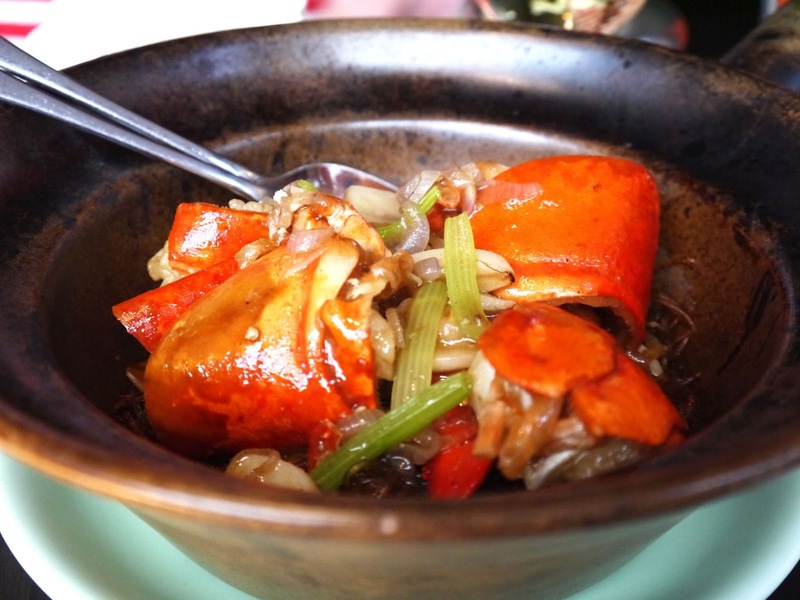 I loved the delicate yet slightly dark flavours and would happily order this dish again! In fact, one of my favourite aspects of this menu is that, contrary to some of the set menus you can find (such as the one I had at Hotel Cafe Royal) the dishes are luxurious ones that you would want to order from the full menu and aren’t second options. So it really is an excellent set menu at £49 per person. 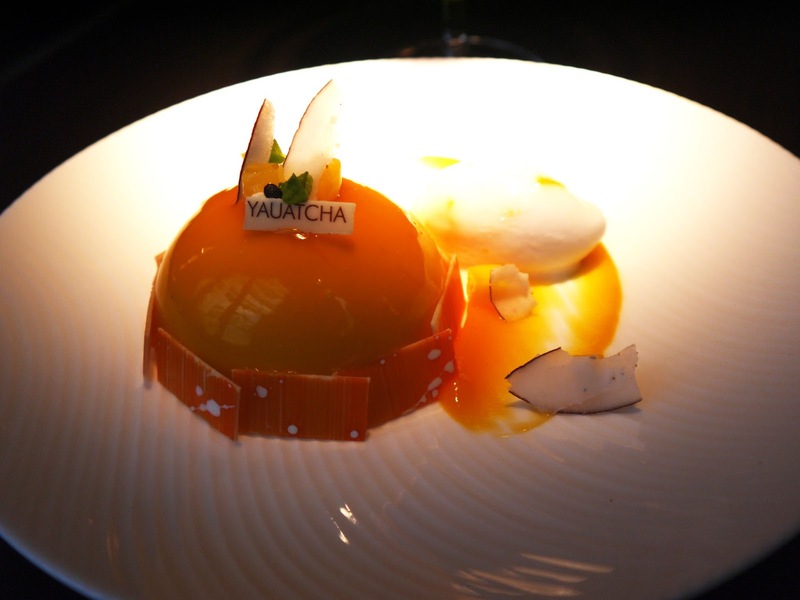 Yauatcha has been high on my list for a long time now, and it was great to finally experience it as part of date day! Now, there’s always room for dessert in my books – especially when you’re allowed to choose any dessert from the full dessert menu…! 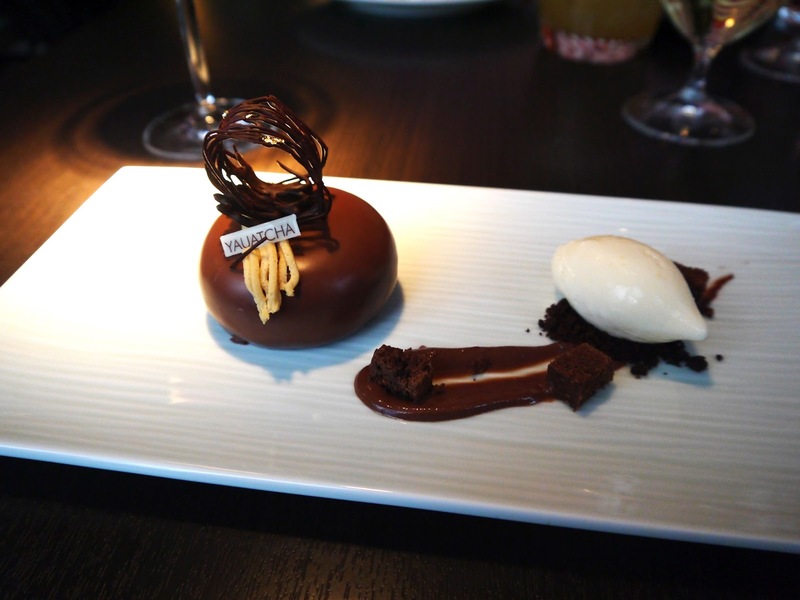 I couldn’t resist the chocolate pebble; dark chocolate, caramelised white chocolate and brownie… Mhmmm. It might be a sugar coma but it really is worth it! 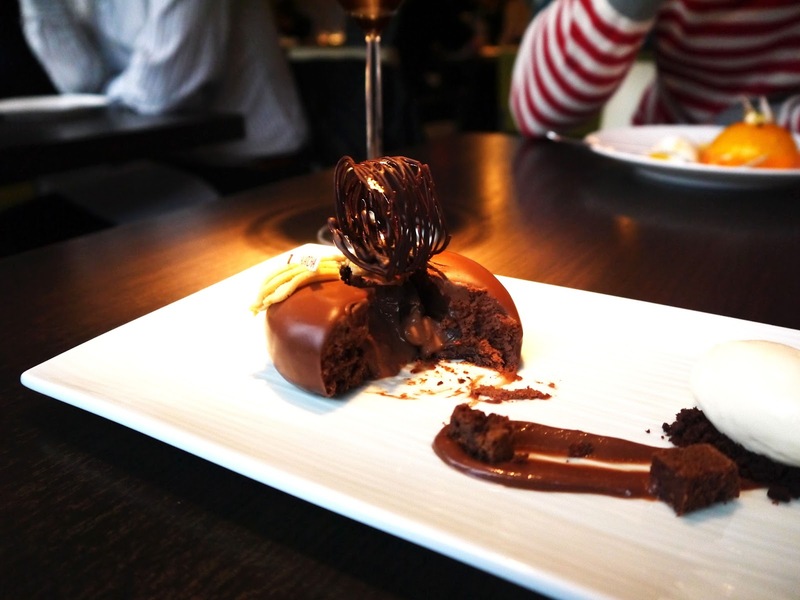 And a rich ooze that any melt in the middle chocolate fondant would be proud of. 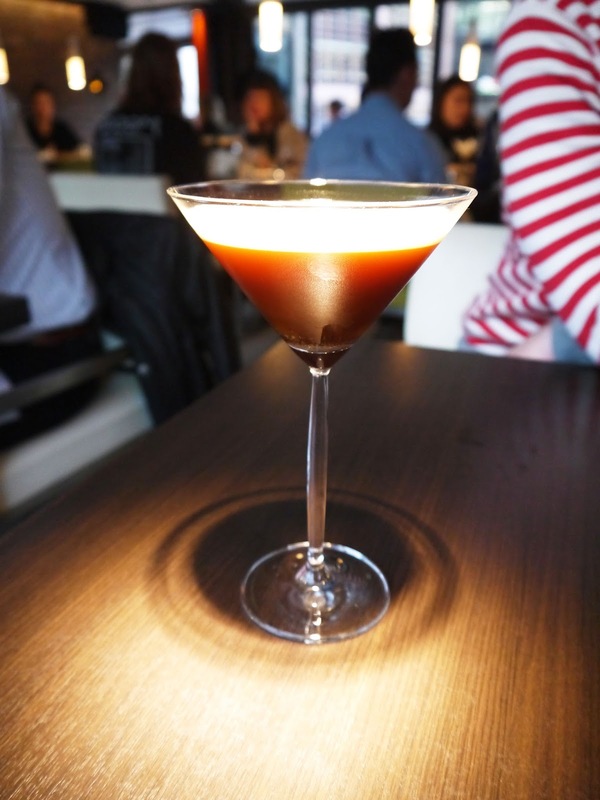 But I couldn’t resist an espresso martini! 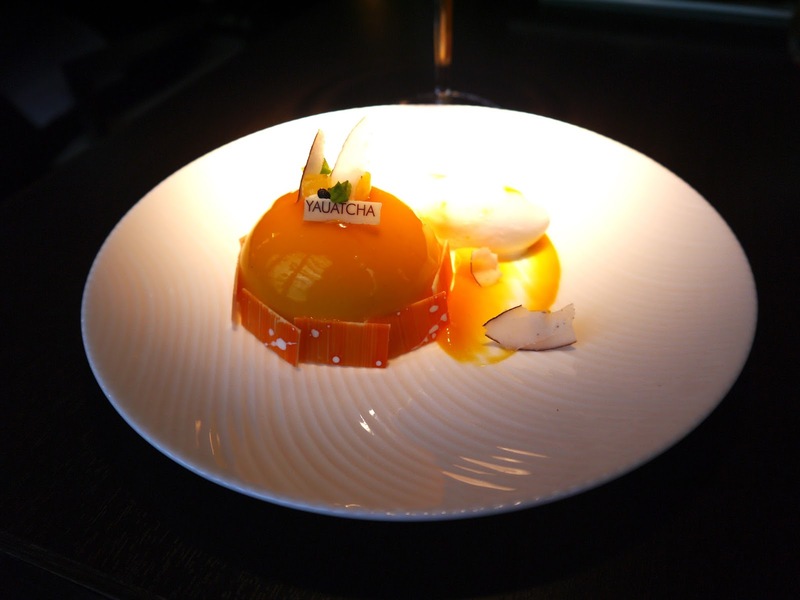 The last plate to arrive at our table was the passion fruit dome, served with white chocolate, mango and coconut – a lovely alternative to a chocolate pudding. I really loved the little personalised chocolates that are served on all the desserts – aren’t they sweet? If you’re looking for a really excellent, luxurious Saturday afternoon treat, Yauatcha City has you covered, because this my friends, was an absolute treat. 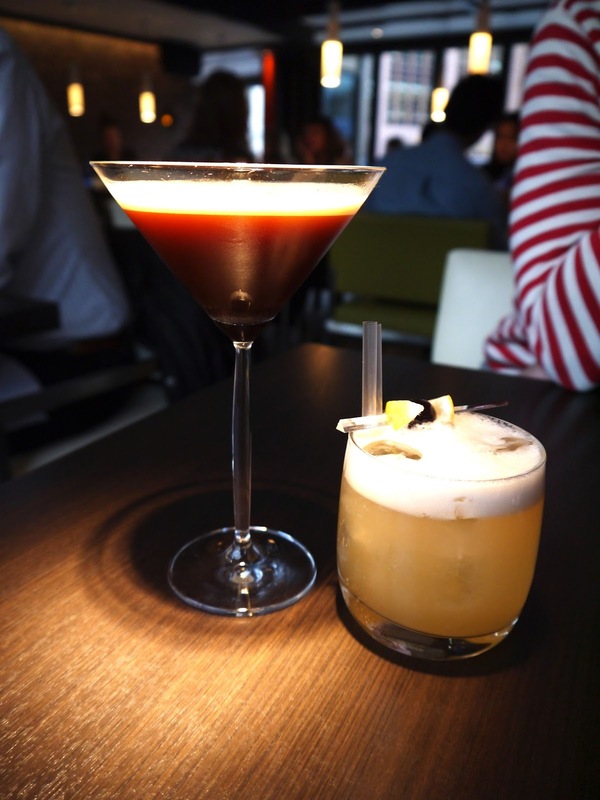 Now I’ve just got to go to HKK and Yauatcha Soho – the list really is never ending…! Our meals were complimentary but all opinions are my own.